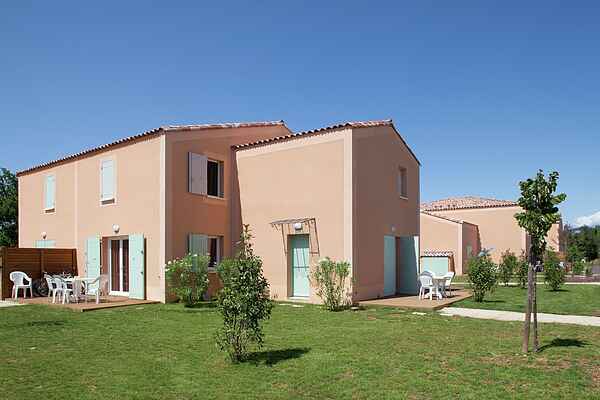 A medium-sized holiday park in an ideal, central location in the popular Provence. The active holidaymaker can visit the famous Mont-Ventoux, the historical city of Avignon or one of the many typical picturesque Provençal wine villages such as Gigondas or Vacqueyras. There's always a nice day market or festival somewhere; it doesn't get any more French than in the Provence. After a beautiful day trip it's nice to rewind at the swimming pool or in the spa with heated swimming pool, sauna and fitness (against payment). The semi-detached homes are built in local style and are located on a low traffic property. They're furnished in a practical and efficient way and they each have a garden/terrace with furniture. The following types are offered: 4-person holiday home (FR-03004-01), 6-person holiday home (FR-01435-01) and an extra spacious 6-person holiday home (FR-01669-01).